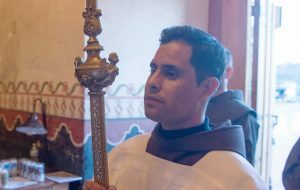 Join us and your fellow discerners as we explore and discern a vocation to religious life as a Franciscan friar of the Province of Saint Barbara. We are all tasked with the same vocation. As Scripture reminds us, our task is “To Love the Lord your God with all your heart and with all your soul and with all your strength and with all your mind, and to love your neighbor as yourself" (Luke 10:27). Our blog will help you with some important tools and background information on the discernment process. It also contains relevant, periodic updates. Click on the “Tools for Discernment” tag. Here are some of the links you will find there. Each blog is designed to be read in sequence, but can be read independently of the others. In addition, each blog focuses on developing a tool that can be used in discernment. Remember we are here to support you and encourage you to reach out to us in person.